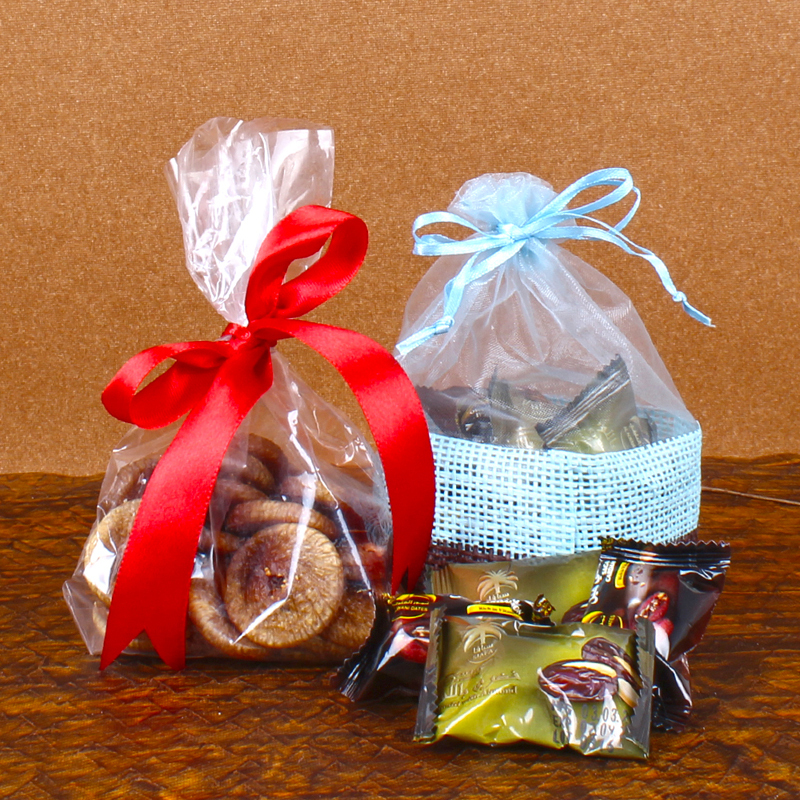 Product Consists : Packet of Dry Fig (Weight : 100 Gms) and Chocolate Dates in a Basket Pouch (Weight : 100 Gms). Gift your dear ones with most healthiest and richest gift this festive season. 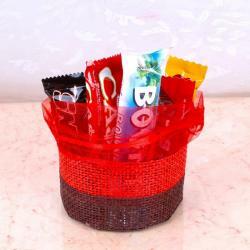 Have a look at this classy hamper from Giftacrossindia.com that is perfect to delight dear ones on special occasions. 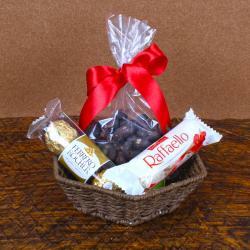 The hamper comprises of 100 gms of best quality Fig and 100 gms chocolate dates in a very beautiful potli. The potli is something that is surely going to make its place in the house of the recipient. 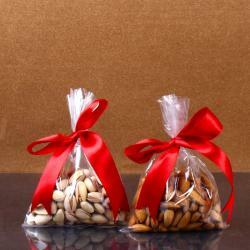 Dates stuffed with Roasted Almonds and generously coated with finest quality chocolate. Its beauty is something that nobody can resist. Order it for your dear ones and make them feel special. Chocolate lover will appreciate the harmonious and lingering character of this delicacy. 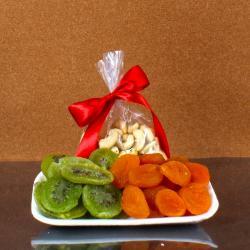 Product Includes : Packet of Dry Fig (Weight : 100 Gms) and Chocolate Dates in a Basket Pouch (Weight : 100 Gms).